Looking for more tips on effective pest control? Click here. Learn everything you need to know about good and active pest control. 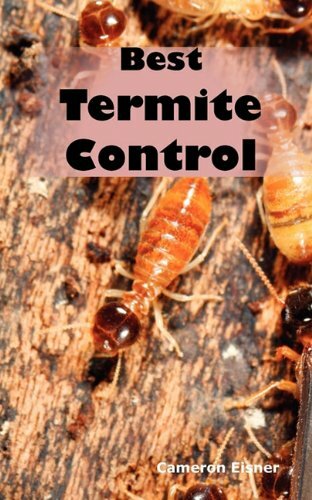 Termites are some of the worst type of pest infestations that property owners possibly have to deal with and are responsible for billions of dollar worth of property damage annually. So what can actually be done about it? What is the answer that property owners ought to look for when it comes to termite problems? Are termites an intrusive presence that people would just have to live with? Well absolutely not and the answer is all too simple – PREVENTION. After all isn’t it the best solution to any problem? Having said that, it does take foresight, persistence, foresight and a fair amount of dedication. The only time most property owners even start to think about termite solutions is when their property is already crawling with them. By then it’s already far too late for prevention and most of the damage has been done. Preventing termites need not be difficult and you just need to understand them a little bit and why they are targeting your home. These pests favor warm and humid conditions with ample food source (wood) within easy reach. If these conditions are prevalent in and around your property then termites are a lot more likely to target your home at some point. Clear your property for potential sources of wood that termites can target as food sources. This includes abandoned wooden piles, debris and firewood stockpiles. Don’t make life easy for these pests. Eliminate sources of stagnant water and moisture like downspouts and gutters. Have “sidings” in your property constructed at least 6 inches from the ground. Anything less will provide an easy entry point for termites. Also ensure to seal holes and gaps on vulnerable areas such basements, foundation wall, vents, attics, windows, etc. Have your landscaping done at least 1 feet from the lower part of wall foundations. It may seem better when done at close proximity but it tend provide a protective shelter for termites. Elements popularly used in landscaping such as mulch and flowers provide termites with much needed sustenance as they attempt to establish colonies in the area. If you are thinking about gardening then carefully think ahead about what things you are going to plant especially those that you’ll have right next to your home. Plan ahead and consider factors like growth size and rate. Keep plants at considerable distance away from your home and prune them regularly to help prevent termites. Regularly inspect your property for any signs of termite damage. Signs of termites aren’t readily apparent and you may need to bring in the expertise of qualified and reputable professionals. Many pest control companies offer annual or quarterly termite inspection plans to monitor and swiftly act on any termite activity in and around your property. Now it may seem that there’s not much point spending time, money and resources on a problem that’s not even there (yet) but isn’t that the whole point of prevention. Considering the termite’s reputation as an invasive and highly destructive species, any amount of effort and resources spent towards preventing such a problem is ultimately well worth it. I have fought termite damage and infestations 4 times. My current house has been attacked twice. It is a very expensive business, but since I live next to a national park, I can't do much about fallen trees and wood all about.